Our US Style homes are built for living in! Bold, strong and sturdy they provide the best in family living. 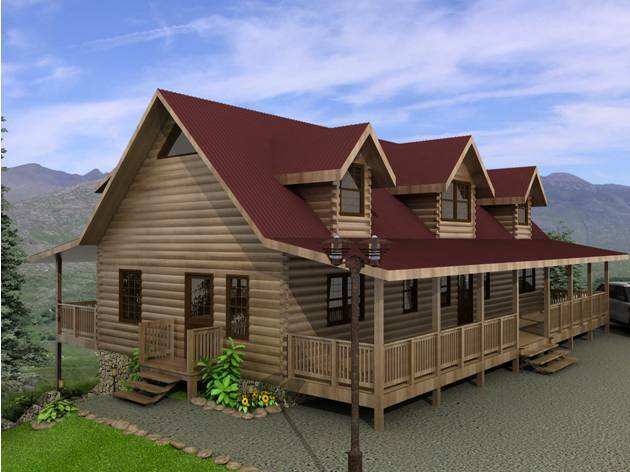 Very spacious, airy and bright, and filled with the ambience only found in log home. Browse our standard designs or come up with your own. 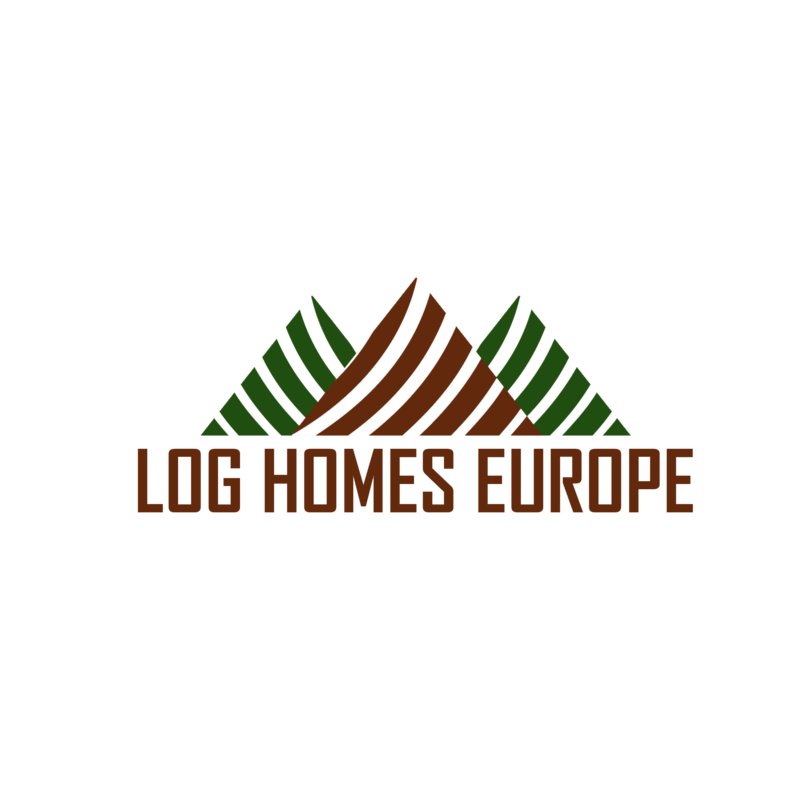 We'll be pleased to work with you to design the log home of your dreams! 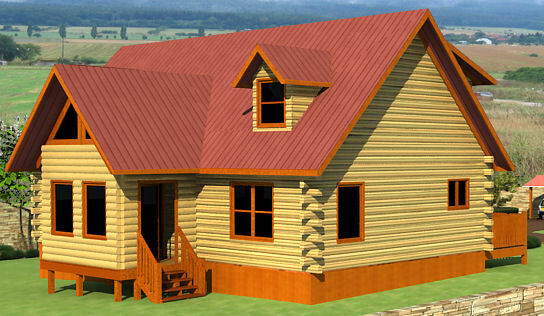 buildings, based on our “Spanish Dream” Log cabin house the staff quarters & kitchen/Laundry. 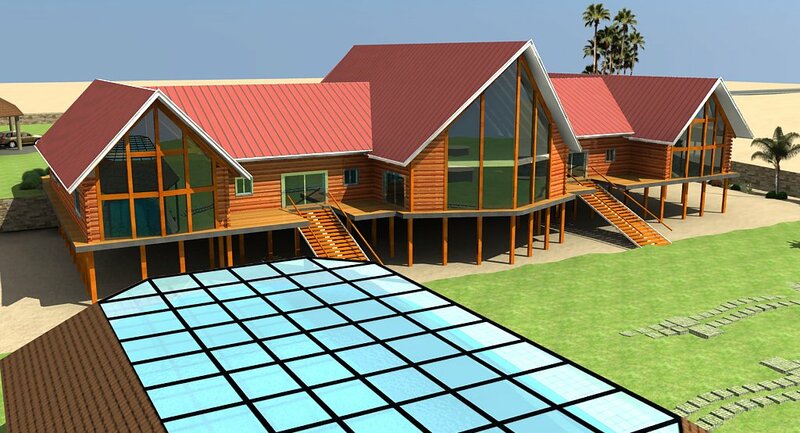 Beachfront Jewel can be erected on a concrete base, or on ”stilts” depending on local conditions. Spacious, bright and luxurious, “Ocean Dream” is the perfect place to relax and unwind, or entertain friends in elegant surroundings. 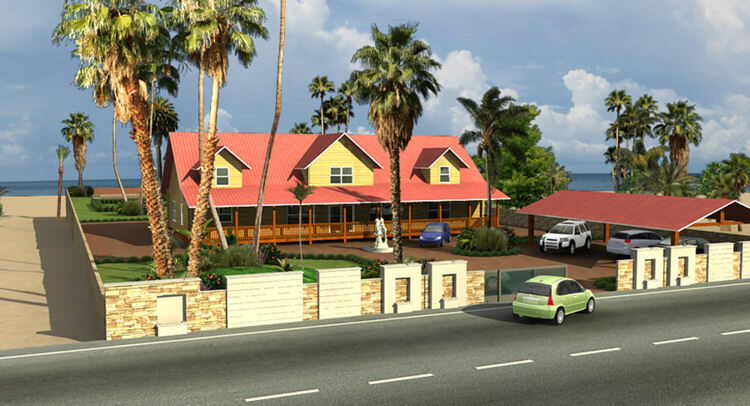 It features 2 Dining rooms, a Great room, 2 sitting rooms, kitchen & powder room, and can be configured with 3 or 4 bedrooms, each with en-suite luxury bathrooms. Spacious, luxurious & versatile, “Mountain View” can be configured to suit all your requirements. 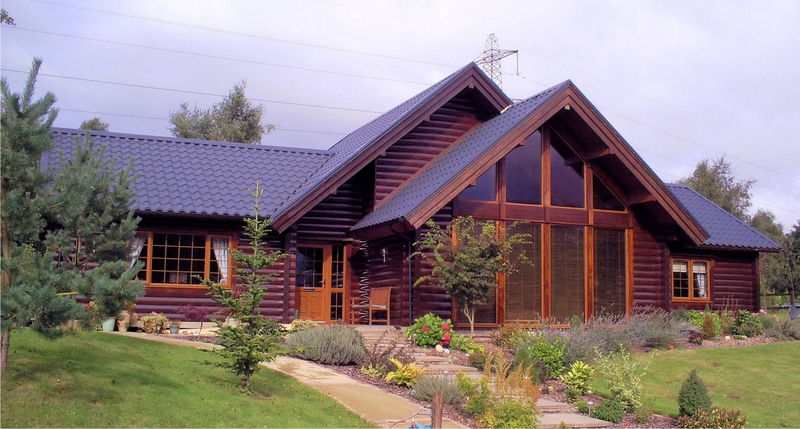 We offer it as a 4/5 bedroom Lodge, 6 bedroom ski chalet or 3 bedroom duplex (x 2). 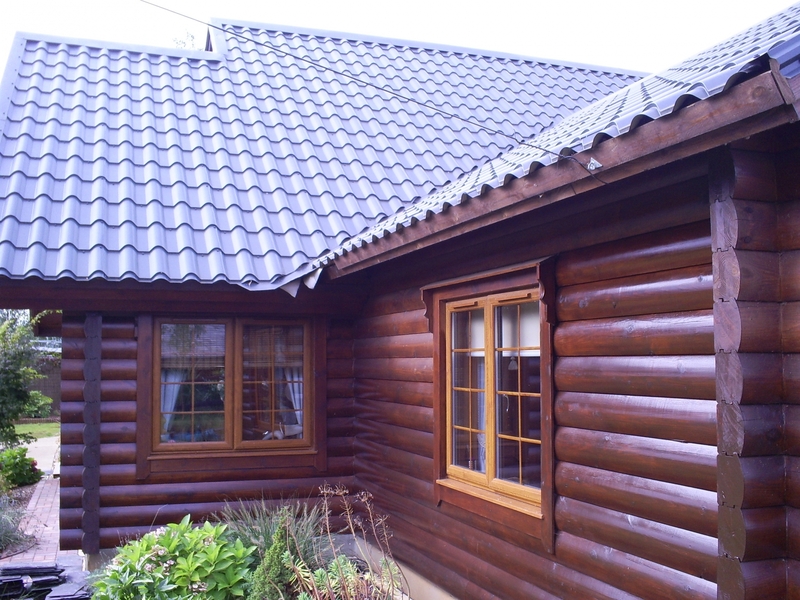 Each variant can be constructed as a standard 2 storey log home, or sitting on a basement spa/recreation room (shown below). All variants give you the best in open-plan living, with the feature “Great room” & its massive window area. 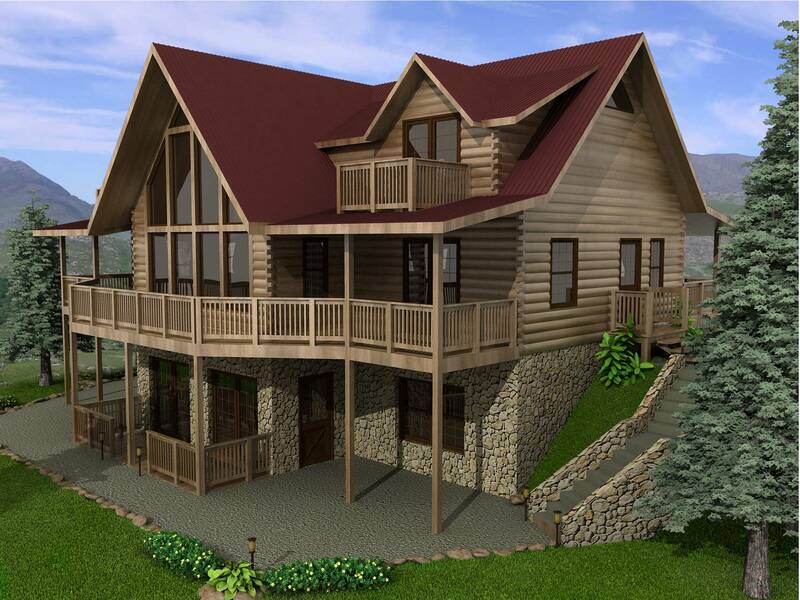 “Mountain View” is the perfect permanent residence or holiday home. Bright, spacious & open-plan, Pentney Lake features a wonderful “Great Room” with cathedral ceiling. Main accommodation is on the ground floor, including luxury Master bedroom suite, additional bedrooms & bathrooms. The spacious mezzanine can be configured as sitting/home cinema area or guest bedroom. 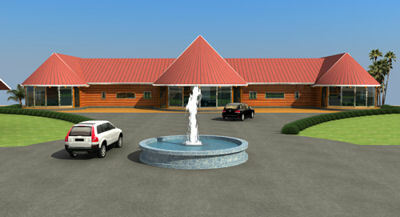 A large, highly spacious house, featuring wonderful “Great Room” with cathedral ceiling and prow. 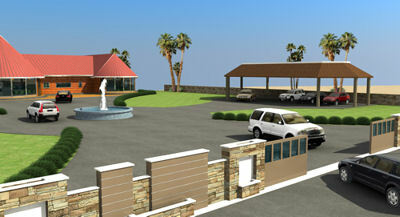 The upstairs area can be configured to your requirements—extra bedrooms or recreational area. 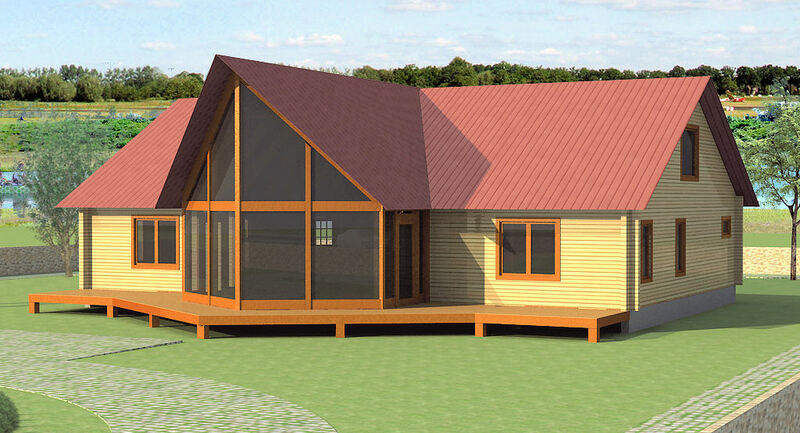 Customise it as you wish - it’s your new home! 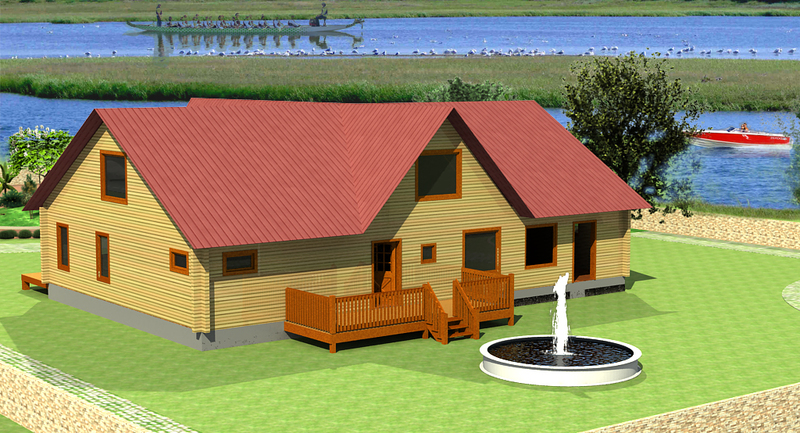 Our lowest cost per square metre option, “Danube Dream” is a substantial 3 bedroom log house - a wonderful holiday home, or for full-time living. 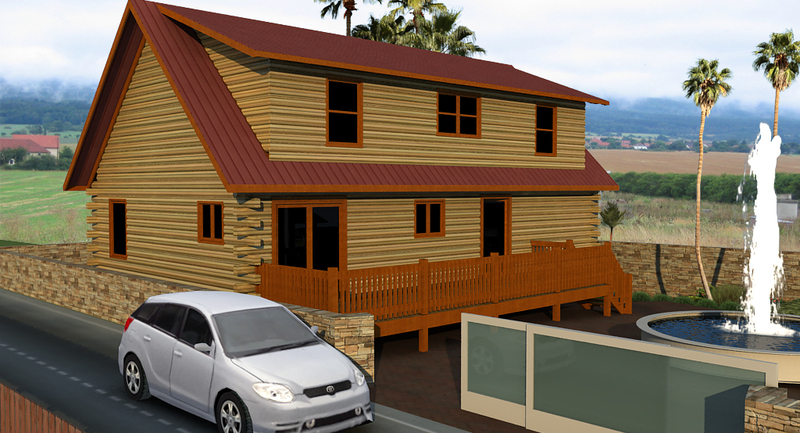 With it’s covered porch and optional rear deck, there is ample room for outdoor entertaining too!